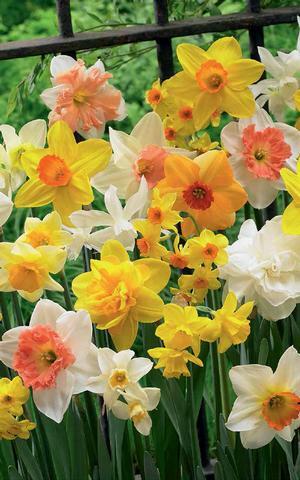 This mixture offers a wide variety of colors and shapes of narcissus. No two mixtures will be the same. Narcissus can be left in the ground after blooming to multiply over the years. If you wish to subdivide bulbs after 2 or 3 years of blooming; harvest them immediately after the foliage has died down. Divide and store in a well-ventilated, cool, dry place; then replant in the fall.